As said in last year’s end-of-season post, 2012 was my first season 10 years after quitting races. This year I kept on smashing my records (it’s so easy, when you start again from scratch), even if an Achilles tendinopathy tried to stop me. Outdoor progression of main events. Some targets were achieved, some others just approached. 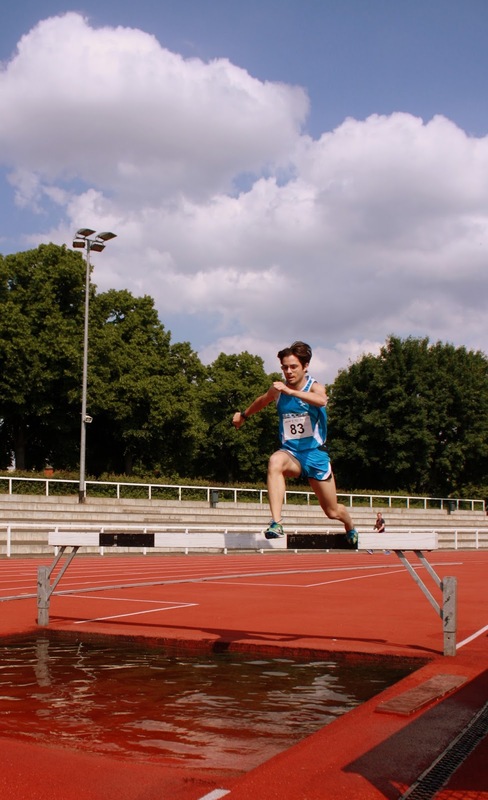 I really wanted to run sub 10:10.00 in the steeplechase event, but maybe I forced too much in the first part of the season. I am very proud, though, of my improvements in longer distances. Definitely the most important point is that I finally found a great team here in Berlin and I can say I picked up the right pace to start the winter season in a proper way. Carsten, Sebbi, Micha, Merlin…they were all very kind in relieving my forced stop. Not to mention, then, the great support I always had from mum, dad, Katrina and all the friends in Conegliano (Pie, Mattia and Gbo in a special way). Over the water pit in one of the last races. Last, but not least, the irreplaceable help from my technical partners has been again crucial. Brooks Running Italy and “himaxx” (Center for Altitude Training, Berlin) continue to follow my journey strongly. Thank you! As usual, I tried to condense all the emotions, motivations and regrets in a single, short video. Nothing is better than direct experience to understand what lies under a whirling Track and Field year. But the images and the music itself are quite appropriate for trying to understand. So, again, welcome to my world. Enjoy and…keep on training! ← What is training load? Great blog and video! You are really an inspiration to every ready! Keep up the great work Ale! Thank you for the continuous support L-Jay!